We took feedback on board and changed, says Harrison. Microsoft's Phil Harrison acknowledges that the Xbox One has had a rocky time, what with its disastrous reveal and a fair-to-middling E3, but he thinks it's about to turn the corner. "We are winning the games message," says Harrison, and points at the E3 awards that Xbox games won. That includes Titanfall - "the most awarded game in the history of E3" says Harrison - the mech shooter Respawn Entertainment has been working on, and which won't get released until sometime in early 2014. Harrison claims Microsoft has learned from its mistakes - or, as Microsoft would prefer to think of it, taken on feedback that indicated it was too far ahead of the curve - and changed its plans accordingly. "We think that's a good thing," says he. One of the things that isn't so good is the limited console release; first it was only going to be out in 21 countries, and now it's limiting itself to 13. The other 8 markets will get a chance to buy the Xbox One sometime in 2014, while the rest of the world might get a look in at some point. "In the long run, in the life of Xbox One, I don't believe this will have any material impact," says Harrison, as he pledges that Microsoft will do its best to keep up. The Xbox One did have a decent E3, but Sony had a good one too - largely thanks to pointing out all the differences between its policies and Microsoft's - and increased its sales projections as a result. 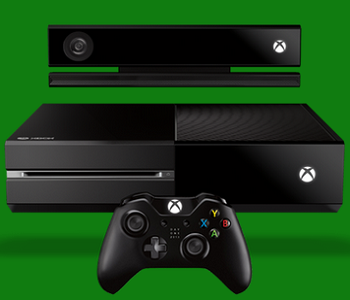 Will the games library be what pushes the Xbox One into first place? Possibly, but some of the flashier titles - Titanfall and Project Spark, to name two - don't have confirmed release dates yet, despite occupying a sizeable chunk of Microsoft's E3 event. Come Christmas, we shall see.